Here, we’ll discuss about some product review marketing ideas for eCommerce site. But before anything else, we want make sure that you understand the reason for perusing on the review marketing journey. Let’s take a quick look into the reasons. When you have the product reviews on your site, they help in the thought process of your potential customers. It is even better if your customers have left the product reviews with a 5 star rating. This will provide a clear social proof about your product as to whether it should or should not be used. In ecommerce sites, the product details page need to provide specific information. Therefore, we have less option to provide contents that help search engines rank the product. These reviews work great for that purpose. Apart from the customer reviews you can also be creative and post some blogs related to those products to increase the keyword composition for your overall site ranking for that product. 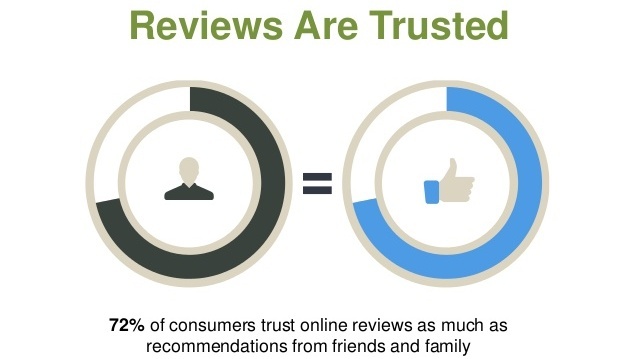 Not just in your own site but if you have your business reviews in other sites such as yelp or when you are sending your data feed to other merchants and have product reviews there, you sales is bound to increase. Those reviews also work as a green signal for the search engines to rank your page higher whether you have the do follow or the nofollow links to your site. When you have product reviews on your site or on the merchant sites where you sell from, it acts as a live proof of how you treat your customers. The way you thank your customer or the way you answer to the queries is important to help your potential customers to decide whether or not to buy from you. When you post certain content in your site about the product, you are helping your customers to get the 360 degree idea about the products. The idea that you present to your clients can be both negative and positive. So only post reviews about those products that you have used personally. Where to post product reviews? If you are the manufacturer of the product, you could hire some of reviewers to post about your products on their site or social media. If you are using video reviews then Youtube will work great to promote your products. 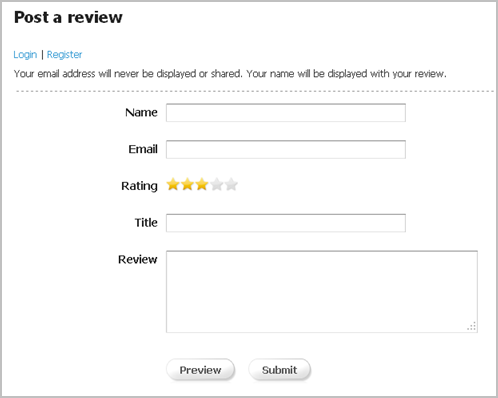 You can even send the sample products for the evaluation to these reviewers and ask for a post with a backlink to your site. If you are not the manufacturer of the product then too you can review the product and post it in your blog section and give a link to the product details page. This can also help your product page to rank in the search engines. Whether or not to post negative reviews about the product you are selling? While reviewing a product, you are providing your customers an honest feedback about what they can expect. So even if you are planning to run your ecommerce business for a relatively short time, it is your duty to give a clear view. If you encounter an issue on the product, the first action should be to contact the manufacturer and get their opinion. Clearly, if you are selling other’s product and making profits from that, it is just the obvious action. But if you find some flaws in certain models, with all honesty you should post the defects. It only helps the manufacturers to sort out and bring more useful products to the market. Take it this way – you are selling a used product that has some scratches. Rather than getting complains after selling and having to refund, it’s better to write it down right away. Now, closing to the end of this post, we would like to mention the main info: Always target to be the first to post review about the new model or product that you are selling. This will not only help you to rank in the search engines but also help you to establish as the authority figure. If you haven’t implemented other ideas for marketing your ecommerce site, you can find them here. How to improve buyer’s journey for ecommerce site?